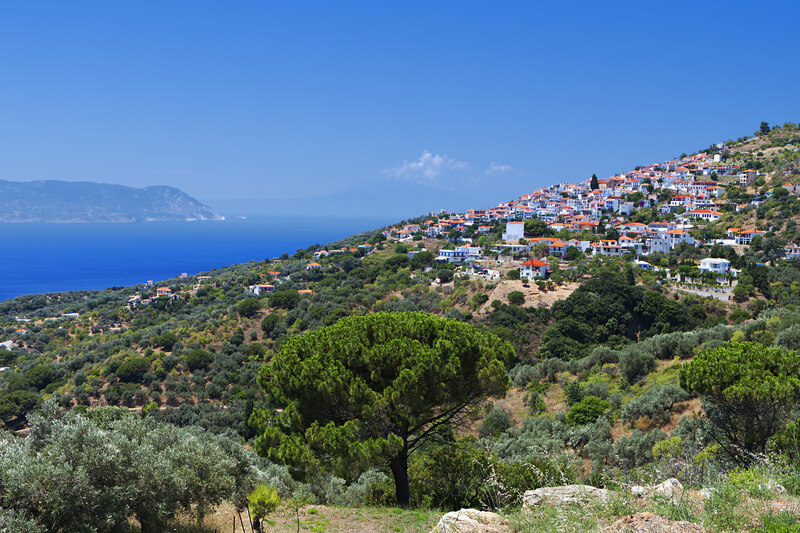 Before you can spend time in the port town of Glossa, you need to first make your way to Skopelos island. There are actually two ports on the island, and Glossa is one of them. If you know that you want to spend time in Glossa and desire to take a ferry, try to organize your route so that it stops in Glossa. If you take a ferry to the other port, you could always rent a car or take a taxi or bus to Glossa. Keep in mind that there is actually no airport that goes to this island, but there are ferries that do run all year long. Glossa is considered to be one of the main towns on the island but despite that, it still maintains a delicate charm. 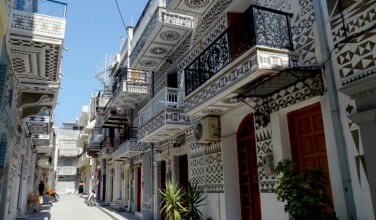 Not unlike the rest of Greece, many the buildings here are painted a bright white color, which seem to glow during the time of peak of sun during the day. The main road winds through the town, showcasing the various shops, restaurants, and cafes. You can easily spend the day here meandering though the streets, taking in the shops, and finding great places to eat. As mentioned above, Glossa is a great place for walking. 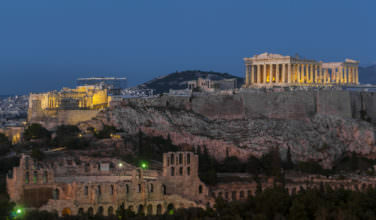 This is your chance to observe traditional Greek life while also enjoying your time on this beautiful Greek island. While here, you also won’t want to miss the chance to spend time enjoying the sea. If you have a lot of time to spend here, consider taking the walking path from Glossa to the nearby village of Loutraki. The path itself boasts some stunning views and the village is charming to explore once you get here. There are also plenty of beaches in the area, so you won’t want to miss the chance to lounge in the sun. 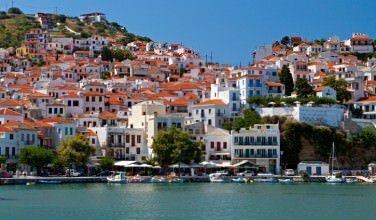 As a side note, Skopelos is also the island where the movie, Mamma Mia, was filmed. In fact, Glossa is a good place to start if you want to track down some of the filming locations. If you want to visit this Greek island, you will find many gorgeous scenery shots in the film. However, nothing compares to actually visiting the place yourself! Glossa is a seaside town that seems to represent the best of what Skopelos has to offer and you can easily spend your whole time on the island exploring it.